Described as a mini London, Leeds is a buzzing cosmopolitan centre surrounded by the beautiful Yorkshire Dales, famous for its breathing taking beauty and scenic views. Enjoy superb shopping at Harvey Nichols and the Victoria Quarter and in the evening enjoy a great night out in one of the most stylish and exciting cities in Britain. 118 Rooms - Studios - Executive Rooms - Separate Desk - Internet Access - Non Smoking Rooms - Club House Restaurant - Club Bar - Indoor Pool - Childrens Pool - Sauna - Steam Room - Spa Bath - Health and Beauty Salon - Cardio Theatre - Gymnasium - Aerobics - Tennis Courts - 17 Conference Rooms for up to 300 Guest - Free Guest Parking for 250 Cars - Extra Bed and Cot on Request Basis only. 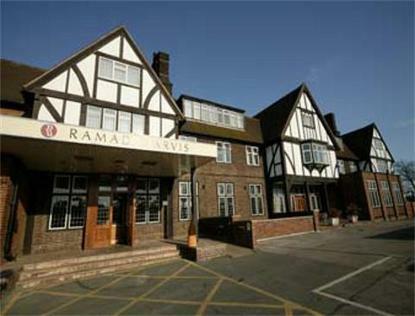 All Ramada Jarvis Hotels offer a Media Package in all rooms. This package includes High Speed Internet Access and 24 hour movies. This is payable at the Hotel or Complimentary in Executive DL2 Rooms. Please find our Childrens Policy. A child is between 4 and 15. Under 4, no charge. Children sharing adults room pay for food as taken. Children in their own room pay 50 Percent of the adult rate. Midweek, the same rules apply with adult paying single supp if applicable.